LOOKING FOR UNREVEALED COUNTER BONUS CODES? NEW CODES ARE LOCATED HERE ON THE MAIN PAGE. & CHECK YOUR EMAIL FOR ONES YOU'VE ALREAD REVEALED! Play UNIQUE laser tag with A.I. in THE arena that defends itself! 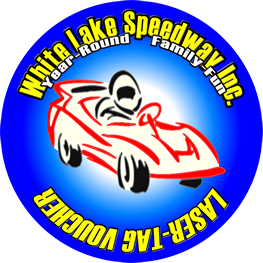 ~ Fun for ALL ages & ANY size group! HUNGRY? We've got heated snacks & seating for up to 30 people in the lobby! ("Self-Serve" is priced right & so filling, you could make a meal out of it.) 🥨🍲NEW & RECENTLY ADDED: 🍲Self-Serve Nachos, warmed JUMBO 🥨 pretzels, 📽️ flat-screen TV entertainment AND 💺"AIRPORT-STYLE"💺 MASSAGE CHAIRS! ("Après-ski pain relief anyone?") SNOWMOBILERS welcome, "hope to see you here!" FREE "EURO-STYLE" BUMPER STICKERS (ONE PER VEHICHLE) WHEN YOU PLAY LASER TAG! "POWER-PLAYS" 🥇V.I.P'S🥇PLAY LASER TAG FOR LESS! Play FOUR FULL multi-game sessions of laser-tag (12 games total, EVEN MORE when you participate in V.I.P. events) anytime during the next 4 weeks for ONLY $49! Power-Play passes available both onine and at counter. Get your anytime & activate/begin using on your next visit. Standard arena height/age restrictions apply.There's no long term commitment. Renewal only happens IF you want it to. (Special renewal offers also available!) POWER-PLAY INFO HERE. additional v.i.p. events detailed here on faq's page. 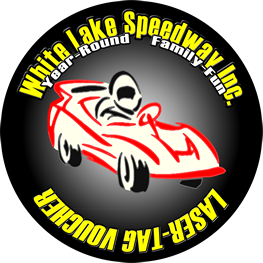 INSTAGRAM: #whitelakespeedway ARENA CAPACITY: Up to 24 players/session (fun game formats for any group size), 72 players/hour, 700+ players per day! OUR PROMISE TO YOU: Privacy is important to everyone, so we won't give any info away without your concent. Anytime you want to stop getting updates: Click here & enter your email address.